Many of the villagers look unhappy. 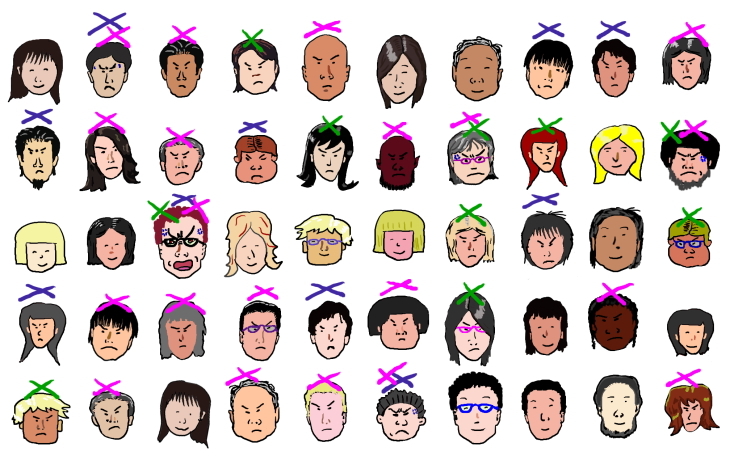 Please pay attention to the number of smiling faces that decreased significantly. Many of the villagers look unhappy. They are the ones who are prohibited from baseball, drinking and/or eating the animal.